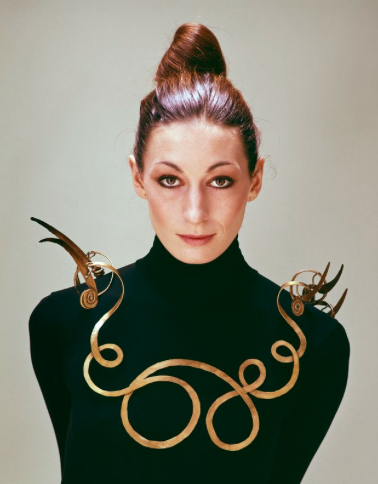 Alexander Calder and Max Ernst - the jewelry designers? This month, Skinner's fine jewelry sales begin with an online-only auction which will run through to March 22, featuring signed pieces by Tiffany & Co., Cartier, Bulgari, and Chanel. The second sale will take place on March 21, featuring the collection of passionate collectors and dealers Leah Gordon and Carol Ferranti. Leah Gordon is well known on the New York jewelry scene, having been a dealer for 29 years specializing in vintage and artist's jewelry. A native of Sharon, Pennsylvania, Gordon opened Leah Gordon Antiques in New York in 1988 after working for 28 years at Time Magazine as the arts reporter. It was during those years that she gathered her love and deep knowledge of art, interviewing and writing about the leading creative minds of the 20th century including Alexander Calder, Marcel Duchamp, Willem de Kooning, Andy Warhol and many others. ''It was a job,'' Gordon said, ''But what a job.'' She left Time in 1988, went back to school at New York University, to study appraising in the decorative arts and began her business focusing on antique and artist's jewelry. Pieces featured in Skinner's sale include a silver brooch by Alexander Calder, estimated at $5 000-7 000, and a rare pendant by Max Ernst, which is estimated at $10 000-15 000. Calder reimagined sculpture and the pushed the limits of moveable artwork with his kinetic mobiles, so it's no surprise his artistic philosophies ended themselves perfectly to jewelry. 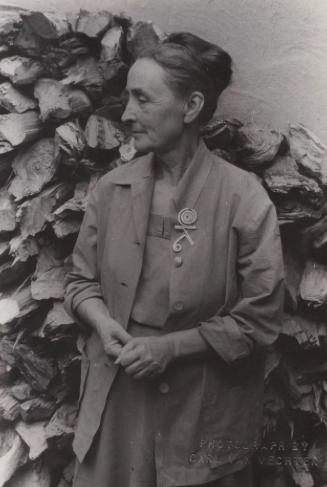 Georgia O’Keeffe and Peggy Guggenheim were just some of the names in the art world who adorned themselves with his pieces, which range from earrings, bracelets, headdresses, necklaces and brooches. The modernist pieces were extremely unconventional - made of silver or brass wire, the pieces were oversized and feature no precious stones or gems, catching the eyes of the avant-gardes in search of something new. 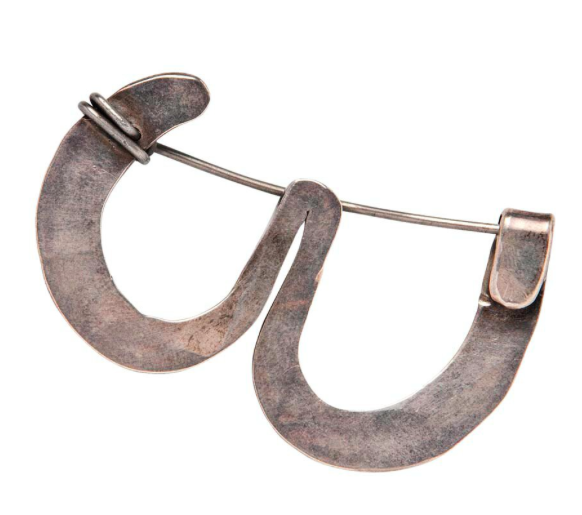 Spirals and zigzags, hammered and bent metal, all of Calder's pieces were one-off and hand-crafted, often created with a specific wearer in mind as many of his brooches featured initials or names. 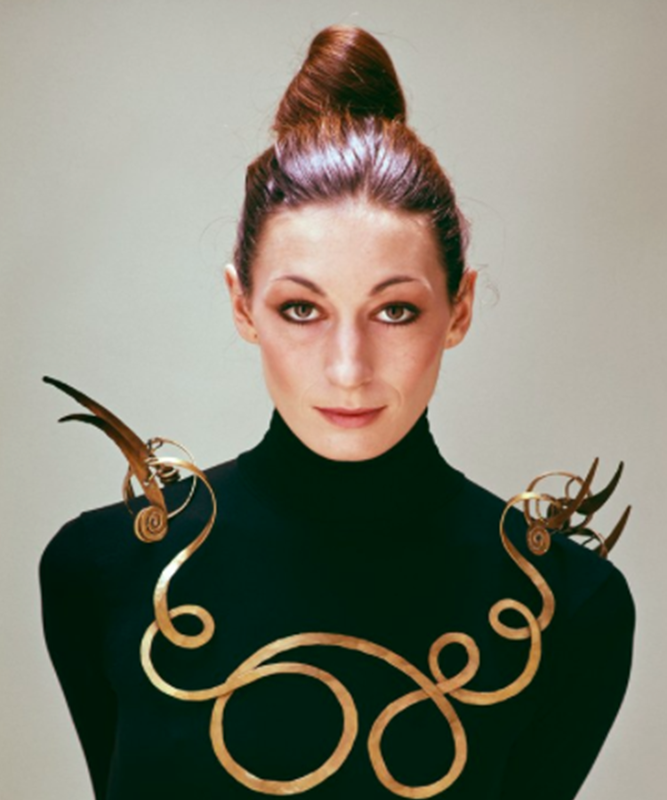 Innovative Calder never used solder - all fixings and fittings were crafted out of bent silver, brass and on the odd occasion, gold although he preferred non-precious materials. Jewelry by Max Ernst rarely comes up on the secondary market. 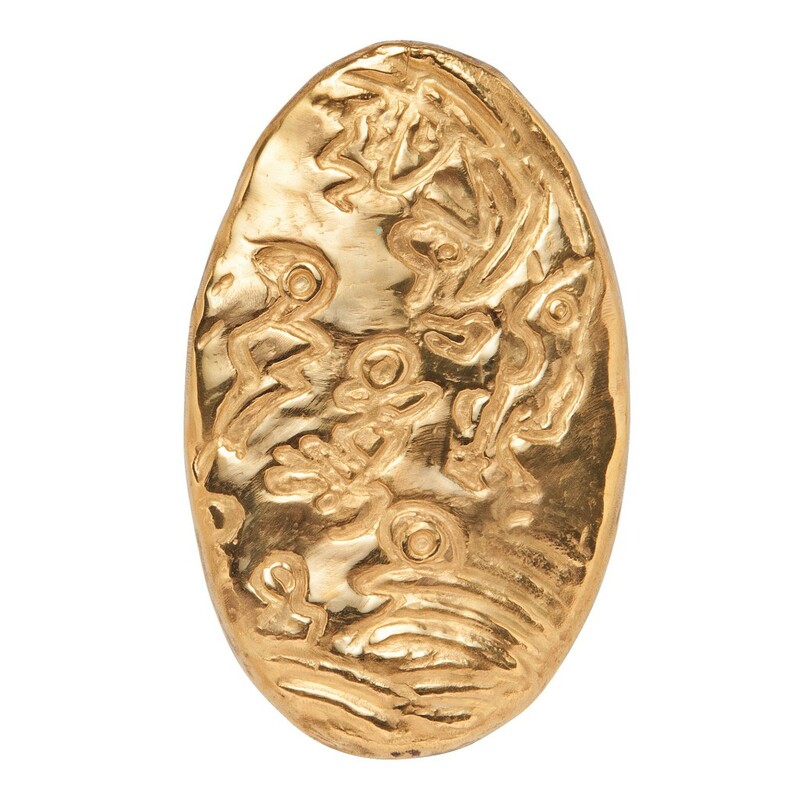 Picasso and Ernst in collaboration with French goldsmith François Hugo, both designed a limited line of jewelry. Using images from their artworks, Hugo crafted the numbered and signed pieces. Ernst was an artist, and not a jewelry designer, so the time he spent on these pieces was limited - creating only editions of six of each piece. The sale on 21 will also feature the collection of Carol Ferranti, a collector and dealer of Art Nouveau and Art Deco. From her early days as an artist and colorist for fabric companies supplying designs for women's wear, her keen eye and talents followed her throughout her life and touched everything she did. Carol began in the business with a booth at the Manhattan Antiques Center and later opened a shop at Madison and 72nd Street where she was a stop for those who appreciated eclecticism and great taste. 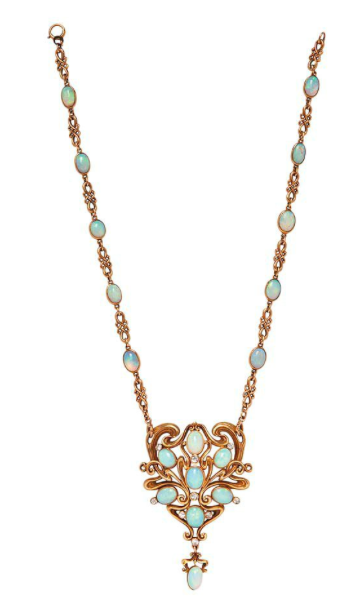 An incredible opal necklace by the American designers Marcus & Company will be features and is estimated to sell for between $20 000-30 000. Public previews for the auction will be held on March 19 and 20. Check out all of Skinner's auctions here.